Whether you are facing divorce, having difficult custody issues, creating a will or probating a loved one's estate, you will need a knowledgeable, compassionate attorney on your side. 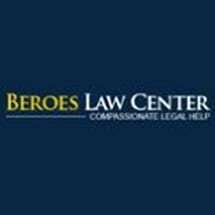 At Beroes Law Center, we take our jobs as legal counselors seriously. We truly counsel clients throughout the process, helping them look ahead to positive end results. Our Allegheny County lawyers have more than 35 years of combined legal experience; we also have experience in Beaver, Butler, Westmorland, Washington, Armstrong, Erie, and the surrounding counties. We are problem solvers and negotiators as well as litigators.